Twelve months ago to the day, Barack Obama looked out over a National Mall that represented a 70 percent overall approval rating, and support from most political factions. How both political extremes dashed that promise of hope. Twelve months ago to the day, Barack Obama looked out over a National Mall that represented a 70 percent overall approval rating, and support from most political factions. How both political extremes dashed that promise of hope. Avlon is the author of Wingnuts: How the Lunatic Fringe Is Hijacking America. Today, the Tea Party protesters will attempt a national day of strike against businesses they accuse of “funding socialism” by advertising on MSNBC, CNN, or donating to Democrats. “We will not become tax slaves to pay for a government-run health-rationing scheme,” its organizers declare, continuing their year-long confusion of losing the ’08 election with living under tyranny. Hard-core partisans like play-to-the-base politics. They profit from it personally and professionally. Yesterday, Scott Brown was elected to succeed Ted Kennedy in the Senate, the first Republican from Massachusetts since 1972, extending a GOP sweep of major elections including the governorships of New Jersey and Virginia—since Obama’s inauguration. All of which Obama carried in 2008. And this past Monday, Martin Luther King Day, 2,000 people showed up outside Virginia’s statehouse in Richmond to argue for “affirming states’ rights based on Jeffersonian principles,” pushing a resolution (already passed in eight McCain-Palin states) resuscitating Confederate and segregation-era arguments about nullification—the “right” of states to nullify the Constitution and disband the United States if the president or federal government assumes powers not explicitly provided. For the “Tenthers,” so-named because of their cause’s Tenth Amendment roots, the alleged unconstitutionality of health-care legislation and anticipation of gun-rights restrictions are the newest battlegrounds in this old argument. A states' rights rally held on MLK Day in the capital of the old Confederacy at the end of the first African-American president’s first year in office can’t escape the bad vibes, historically. But anger at Obama is not reserved to the right. The Village Voice summed up the left’s take on the disappointments of his first year by declaring him “George W. Obama” and showing Barack’s skin flaking off to reveal Bush. DINO hunters are emerging from the liberal netroots and networks, accusing the Obama administration of being “corporatist sellouts” and targeting Blue Dog Democrats, with some even calling on Howard Dean to primary Obama from the left in 2012. The newly emboldened left is attacking the embattled center. They believe that the problem with Obama and the Democrats’ popularity is that the president hasn’t been liberal enough. Liberals—especially the liberal House leadership in Congress—willfully misinterpreted the 2008 election as an ideological mandate. It wasn’t. But it was a mandate for change. Take a deep breath and take a look at the numbers. On Election Day ‘08, Obama took virtually every swing state, and won independent voters by eight points. He won 90 percent of liberals, 60 percent of centrists and even 20 percent of self-described conservatives. Obama’s 53 percent of the popular vote was more than any president in 20 years and more than any 20th-century Democrat except FDR and LBJ. The 2008 election was a clear mandate for change away from the harshly polarized politics of the past. So what happened? Why hasn’t Obama been able to follow through on his promise to unite the nation? Our politics have been hijacked by hard-core partisans who like play-to-the-base politics. They profit from it personally and professionally. And they were going to perpetuate the previous “us against them” era by any means necessary. Neither side was in the mood for compromise. They had partisan networks and netroots dedicated to their cause that could be deployed almost at will. With liberal Republicans nearly extinct and conservative Democrats an increasingly endangered species, there was no internal big-tent counterbalance. Like-minded groups are always more likely to move to the extremes. The new president’s post-partisan vision was dismissed as naïve if necessary campaign rhetoric. A few weeks in Washington would teach him how things were done—post-partisanship would be DOA in D.C.
And so a guerrilla war broke out in American politics, organized on the Internet and fought out on the airwaves and in town halls, cultivating the wounds of the 2008 campaign and pouring gasoline on the embers of the culture wars. Liberals in Congress embraced a narrow partisan approach to winning legislative votes and pursued unprecedented levels of spending that mocked Obama’s campaign claims to restore fiscal responsibility. Big mistake: Independent voters have been deficit hawks going back to at least Ross Perot’s independent campaign for the presidency back in 1992. Over at the other extreme, conservative resistance went outer-limits from the beginning, accelerating the worst attributes of Bush Derangement Syndrome. Some believe President Obama is anti-American, pushing us toward National Socialism; to others—the so-called Birthers—he is un-American, literally ineligible for office according to the Constitution. A July 2009 poll found that 58 percent of Republicans either thought Barack Obama wasn’t born in the United States or weren’t sure. Beneath Scott Brown’s win in Massachusetts is a reminder that even the supposedly blue Bay State contains more independents than Democrats or Republicans—like America itself. It highlights independent voters’ dislike of the ideological arrogance and legislative over-reach that often comes with unified one-party control of Washington. This should be a wake-up call to both parties. Democrats can no longer be in denial about the fact that independents hold the balance of power—even in Massachusetts. Conservatives should recognize that a pro-choice Republican brought them victory. In both cases, the party that connects with the center—with moderates and the middle class—wins elections. President Obama needs to re-seize the center to re-establish his original political strength as a uniter. Changing a political culture that’s addicted to division takes time, but that’s what leaders do. In a way, the loss of Massachusetts' Senate seat on the eve of his first anniversary as president should be a reminder of how Obama first introduced himself to the American people: There are no red states, there are no blue states, there is only the United States of America. 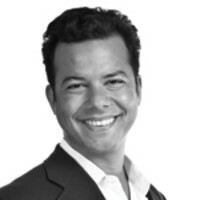 John P. Avlon writes a column for The Daily Beast. Previously, he served as chief speechwriter for New York City Mayor Rudy Giuliani and was a columnist and associate editor for The New York Sun. He is the author of Independent Nation: How Centrists Can Change American Politics and Wingnuts: How the Lunatic Fringe is Hijacking America, published by Beast Books, which can be ordered here.